Heartburn is a disorder in which acid and food content from the stomach move the wrong way, and are propelled out of the stomach, and back into the esophagus. Stomach acid and food are not meant to be in the esophagus, and cause irritation and damage to the lining of the esophagus. This leads to ulcers, scarring, and bleeding. Esophageal reflux has even been shown to cause asthma and dental problems. Symptoms include chest pain, belching, bloating, gas, and burning in the chest and throat. Sometimes it presents with a chronic cough. It is most noticeable at nighttime and following meals, exercise or physical activity. Reflux has a variety of causes, including improper diet, sleep, and exercise habits. Medications like Theophyllin, aspirin, anti-inflammatories and some blood pressure medications can trigger relux. Anatomic abnormalities in the stomach, esophagus and diaphragm can contribute to reflux as well. The symptoms of reflux disease are often difficult to distinguish from heart, lung and peptic ulcer disease. It is important to have any suspicious symptoms evaluated promptly. Avoid fast food and fatty foods. Chocolate in any form should be avoided. Limit your intake of caffiene. This can be found in coffee, hot or cold tea, cola and soft drinks. Alcoholic drinks also worsen reflux. Watch your weight. 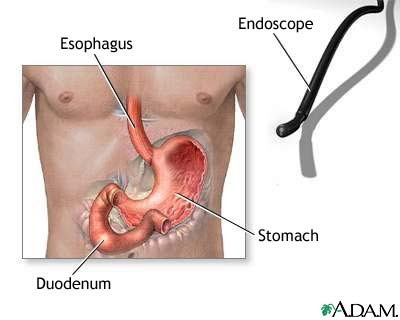 Being overweight increases pressure inside your abdomen, which then pushes the acid up into your esophagus. Do not gorge yourself at mealtime. Eat smaller, moderate amounts of food. Do not do exercise or strenuous activity too soon after eating. Avoid bedtime snacks, and eat meals at least 3 or 4 hours before lying down. Elevate the head of your bed with wooden blocks or bricks. (Do not elevate your head using pillows, this increases abdominal pressure. See your doctor if you are not improving with these self help ideas. Initially, reflux can be treated following a doctor's exam and review of your symptoms. He or she will recommend certain lifestyle changes, combined with medicines to relieve your discomfort. Medications include things like Zantac, Pepcid, Prilosec, and Mylanta, Rolaids, or Maalox. If these lifestyle changes and medications do not improve your symptoms, then your doctor will probably switch you to stronger medication such as Nexium, Protonix, or Prevacid. They will be consider an infection in the stomach called H. pylori. It lives in your stomach for years, causing damage, and requires treatment with several weeks of antibiotic.